Dr Leonie Lockstone-Binney joined Griffith University in January 2019 as an Associate Professor in the Department of Tourism, Sport and Hotel Management. Leonie previously held the institute-wide role of Associate Dean (Research) at William Angliss Institute, Melbourne from 2015 to 2018. Leonie was also formerly Discipline Group Leader of the Tourism, Hospitality, Music and Events Group at Victoria University, where commencing as Lecturer in 2006, she was promoted to Associate Professor in 2014. Building on her PhD study of the management of volunteers and paid staff in the cultural tourism sector, Leonie’s main area of research expertise since 2000 relates to volunteering, with a particular focus on event and tourism settings. 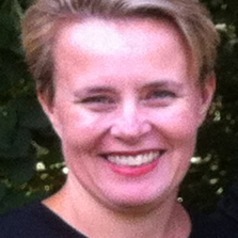 Consolidating on her reputation in the field, Leonie has published her work in several top-tier journals including Leisure Sciences, Tourism Analysis, Journal of Travel Research, International Journal of Hospitality Management, International Journal of Tourism Research and Leisure Studies. Leonie continues to collaborate on projects with leading researchers from Australia, the United Kingdom and New Zealand.